Brief in Support of Decree Below. 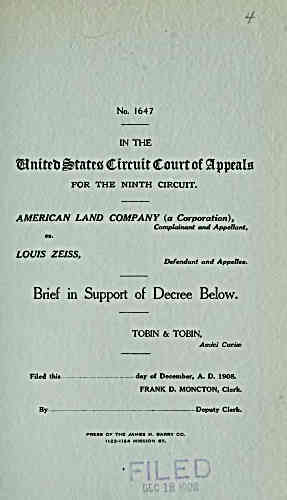 Filed this day of December, A. D. 1908. PRESS OF THE JAMES H. BARRY CO.